What Diskit is to the Shyok Valley, Sumur is to the Nubra. 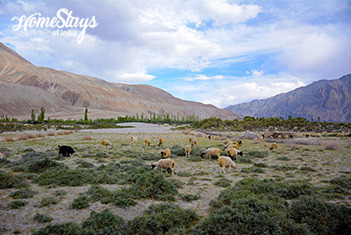 Sumur is a very picturesque and peaceful village in the Nubra Valley of Ladakh. Located at an altitude of 10720 ft, 117 km from north of Leh, it is known for its untouched sand dunes and Samstem Ling Gompa which stands above the village at the foot of barren mountains, was founded by Lama Tsultrim Nima in 1840s. It’s lovely green and yellow fields along with the Nubra River, the snow clad mountains in the backdrop makes it a picture perfect place. 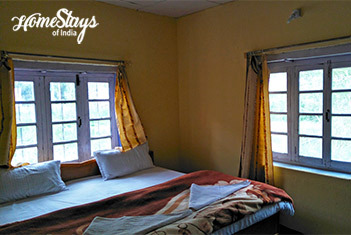 Sumur Homestay was built by Tsering Stobdan in 1998 which eventually became first and probably only homestay of Sumur. 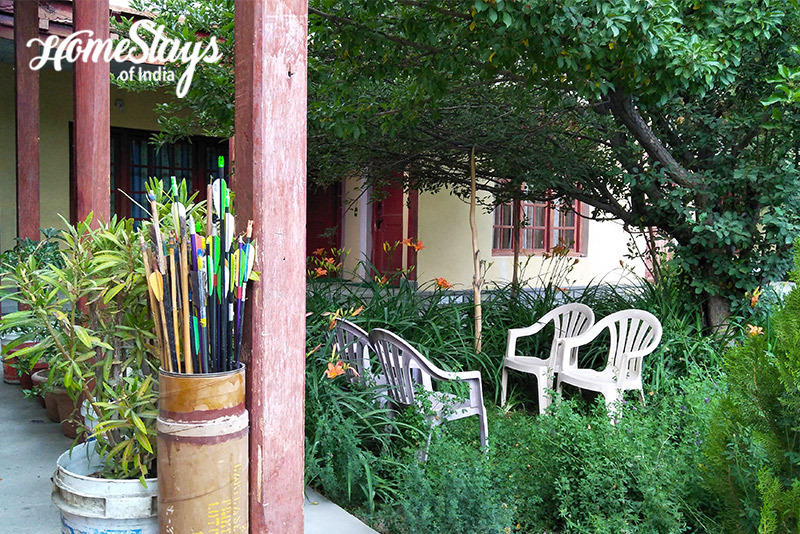 Located near Saser Camp, it is curated in a farmland with fruit trees around. 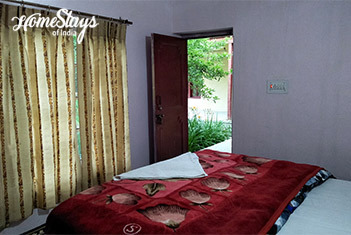 It has 4 guest rooms, all comes with attached bathroom and English toilet. 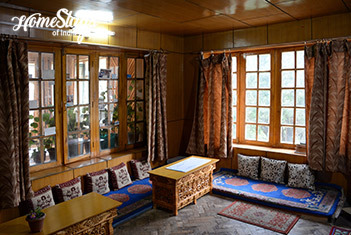 It has a traditional Ladakhi kitchen and a dinning hall which has become a meeting place for travelers who comes from across the world. It also has a garden to bask in the sun. Tsering Stobdan is basically is a farmer who look after the home with his wife Dolma. He is well known for he is the local Archery Champion and happy to share tips and his knowledge about Archery. Dolma is incharge of the kitchen. She serves home grown organic food. She cook traditional Ladakhi food like Thupka, Skew, Khambi (Ladakhi bread) along with regular North Indian food. They have a fruit orchard so fresh Apple and Apricot is freely available. 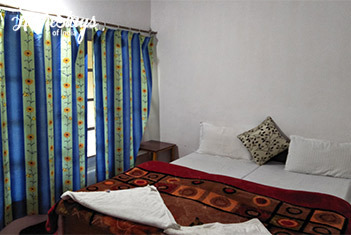 There are own cows to provide you fresh milk and home made dairy product to keep you healthy. 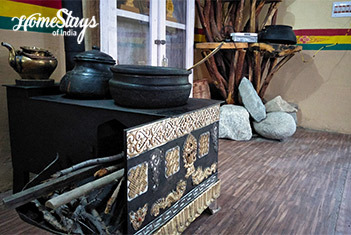 You may ask for Gurgur tea (salty Ladakhi tea) and Chhang (local wine) made by wheat or rice. Non-veg food is available on prior request.